This is a concept that has been around for a while under different terms. For me, it is income coming to you from different sources and efforts. 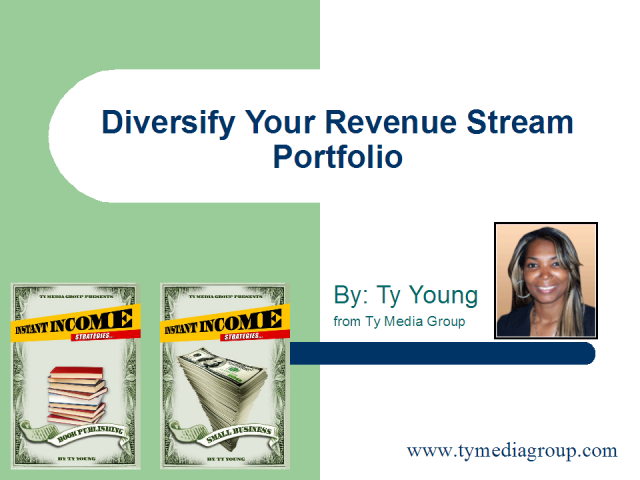 Multiple revenue streams can be related to each other, supplement each other and pick up when others are down. Our shows introduce you to the types of “Proven” income strategies that generate cash quickly. Many of these require only your expertise; there are no cash outlays for staff, inventory, special equipment, or ongoing expenses. Instead of burdening yourself with these expensive annoyances, Our TV network shows you how to minimize the hassle factor so that you can focus on actually executing the short–term minimum commitment strategies we share on this network.